This magical musical will take you to another world. 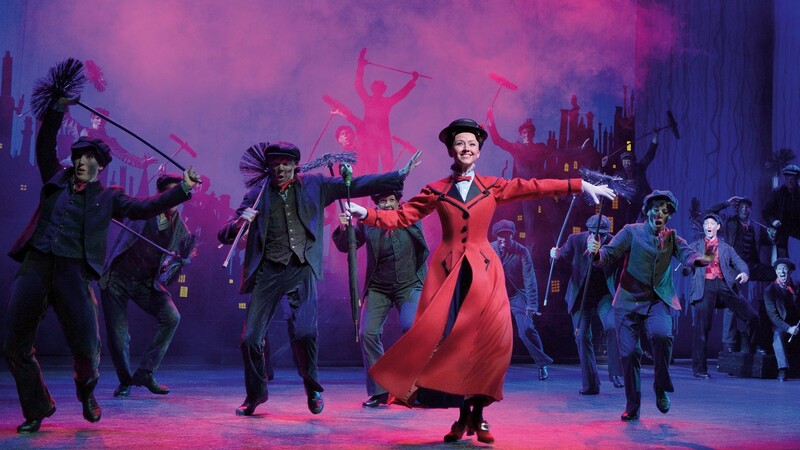 The elating show of Mary Poppins has been on stage at the Stage Theater on the river Elbe ever since February 2018. Let yourself be enchanted by this prize winning musical and enjoy the world of magic and music. This fantastic musical is based on the novel of P.L.Travers and of course on the famous Disney movie from the year 1964. Its world premiere was at the London Prince Edward theater after Disney and Cameron Mackintosh had joined forces for the production. So far the musical has been viewed by more than 12 million people and has received 30 international awards. To give you a better feeling for the story, here is a rough summary. The London married couple Banks are looking to hire a nanny for their children Michael and Jane. So far the children have scared away every nanny with their disobedience and their pranks. Now the Banks are looking for the perfect nanny so they can finally relax again. When very unconventional Mary Poppins answers the ad everyone is astounded at first of her educational methods. Especially the conservative Mr. Banks is having a hard time to adjust, but the children quickly open their hearts to Mary and together they experience many magical and unforgettable moments and adventures of which the story comprises.